Japanese people celebrate the first three days of the New Year with traditional dishes called “Osechi Ryori”. 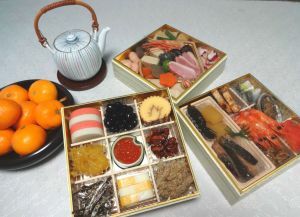 The dishes are usually beautifully laid out inside multi-tiered special food boxes similar to “bento” boxes. Multi-tiered boxes signify the accumulation of good fortune. There is a wide variety of colorful foods in each box, and each dish symbolizes good wishes such as longevity, happiness, wealth, good health and prosperity. The whole family shares these dishes during the New Year holiday. It might be a good idea to go and get your own personal chopsticks at WARAI as Japanese do. Japan has developed a large variety of chopsticks for each individual. 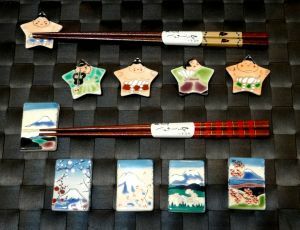 You can also find charming chopstick rests at WARAI, which can enrich your everyday life.